Heidi Seekers: Thanks to all those who visited. The cache is close to the chapel on the public footpath. The lane here is very narrow,but there is an area to park by the Chapel. 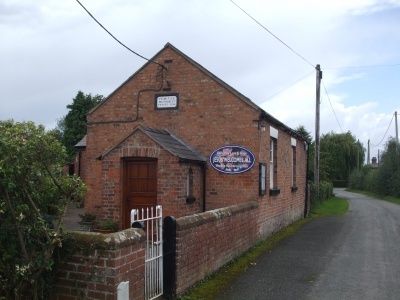 The Chapel was founded over 150 years ago in 1858 and has provided a centre of worship in the communities of Crewe by Farndon, Farndon, Holt and the surrounding area ever since.